While Tesla and Google are busy developing the technology to make cars drive themselves, other auto companies are dreaming up what those autonomous cars of the future might look like. Fiat Chrysler just gave us a first look at its all-electric, self-driving car of the future ahead of the vehicle’s official debut this week at CES in Las Vegas. Far from a sporty coupe, the Chrysler Portal is a family car primed to leave present day minivans in the dust. Among its many enticing attributes is the promised range of the all-electric vehicle – a whopping 250 miles or more on a full battery charge. Chrysler promises a 350-kilowatt fast charger that can juice up the battery enough in 20 minutes to travel up to 150 miles. The Portal’s cockpit looks drastically different than any car currently on the road, of course. 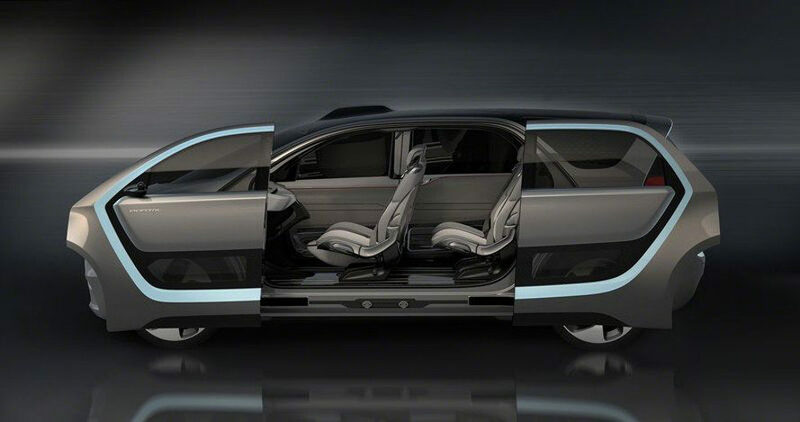 Stripped down and minimalist in design, the self-driving concept car still features the essentials for human driving: a gas pedal and brake as well as a steering ‘wheel’ that looks more fit for a sci-fi set than a family van. Fiat Chrysler gears up to unveil Portal, its all-electric self-driving concept car for future families. While Tesla and Google are busy developing the technology to make cars drive themselves, other auto companies are dreaming up what those autonomous cars of the future might look like. Fiat Chrysler just gave us a first look at its all-electric, self-driving car of the future ahead of the vehicle's official debut this week at CES in Las Vegas. Far from a sporty coupe, the Chrysler Portal is a family car primed to leave present day minivans in the dust.